ThesesAssistDrawer is a comprehensive and powerful application that will help you easily configure the layout of your thesis, paper or science article. 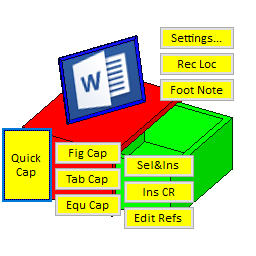 The utility comes with fast inserting captions, quick generation thesis templates, fast editing references, fast insertion of equations and tables, intelligent document recording location, quick-inserting footnotes, fast-placing several figures, and many other capabilities. The program enables you to easily manage thesis template styles. You can also generate thesis templates featuring auto-numbered headings with a single mouse click. In addition, it offers you the possibility to include cross-references to headings, captions, pages and references with minimum effort. References can be edited or added by automatically merging consecutive cross-references, or by listing end notes and paragraphs. Complex keyboard operations or shortcut keys commands can be easily executed, as well. The program is compatible with 2007 or newer version of Microsoft Word. System Requirements: 2007 or newer version of Microsoft Word.